Tue., May 8, 2018, 1:52 p.m.
SAN JOSE, Calif. – Joe Thornton tested the free-agent market last summer before ending up back in San Jose on a one-year, $8 million deal. 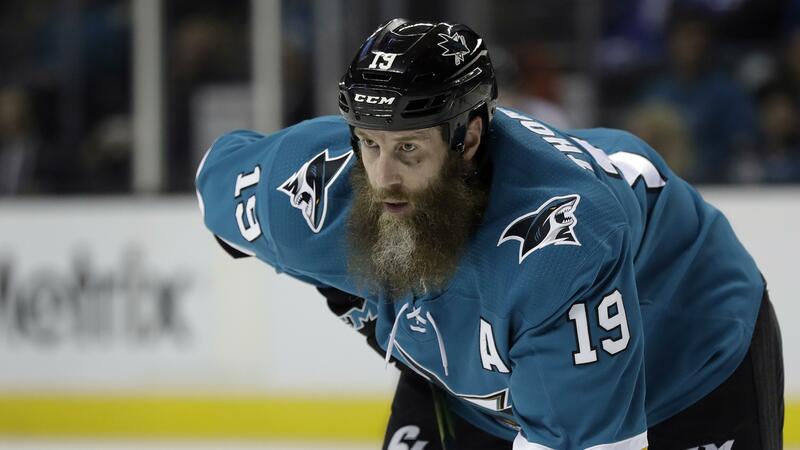 Thornton has been a leader ever since arriving in San Jose in 2005 and is the greatest player in franchise history. He ranks 12th in NHL history with 1,030 assists and is 16th with 1,427 points. With seven more games, Thornton will become the 19th player to reach the 1,500-game mark for a career. Kane provided a major boost when he was acquired from Buffalo at the trade deadline in February. He had nine goals and five assists in 17 games, providing needed speed and physicality on San Jose’s top line. Published: May 8, 2018, 1:52 p.m.